PUNE: The Economic Offences Wing of the Pune Police today carried out searches at the offices and residence of city-based developer D S Kulkarni, just days after he and his wife were booked in a cheating case. The case was registered on October 28 on a complaint by 65-year-old Jitendra Mulekar that he did not get back his investment from the real estate group. Besides cheating, D S Kulkarni or just DSK, as he is popularly known, and his wife were booked for criminal breach of trust, the police had said. "Following the first complaint by Jitendra Mulekar (65), we yesterday received complaints from nearly 300 depositors who claimed that they did not get back their money from the developer," a senior official of the Pune Police's EOW said. Based on the complaints, searches were carried out at DSK's offices and residence in the city to scrutinise the documents, he said. Since there are approximately 300 complaints, the police would be able to know the total amount liable to be paid by the builder after going through the applications, the official added. According to some complainants, there are around 8,000 depositors who have invested with D S Kulkarni's group but they did not get their money back from the developer. For the past several months, all these investors, largely pensioners, have been queuing up at the DSK's office here. As many as 170 depositors who invested in the Fixed Deposit (FD) scheme of the DSK group, had approached the Pune Police a couple of months ago, demanding that a cheating case be registered against the firm. According to police, Mulekar claimed to have invested Rs 4,40,647 in the scheme. The investor alleged that he neither received the principal amount nor the interest since February 2017. A day after the case was registered, Kulkarni said that since the matter was sub-judice, he would not like to comment but assured he will pay all the investors, employees and depositors. In a video released by DSK earlier this year on social media, the real estate developer had replied to all allegations and queries of deposit holders and investors. 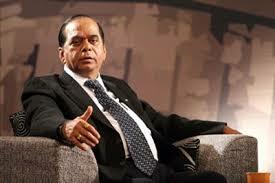 DSK had in September stepped down from the post of managing director of DS Kulkarni Developers Limited (DSKDL). His son Shirish Kulkarni succeeded him as the new managing director and chief executive officer (CEO) of the company.